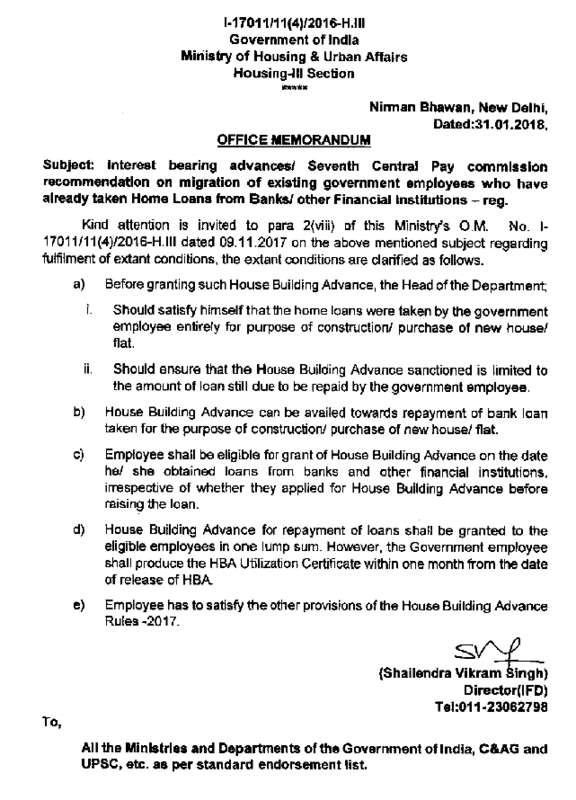 Home HBA MoHA 7th CPC recommendation on migration of existing government employees who have already taken Home Loans from Banks/ other Financial Institutions - reg. Subject: Interest bearing advances! Seventh Central Pay commission recommendation on migration of existing government employees who have already taken Home Loans from Banks/other Financial Institutions - reg.